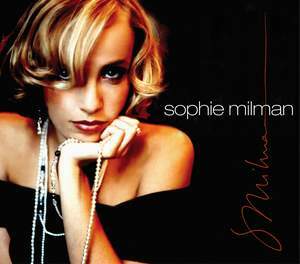 NEW YORK, NY -- (MARKET WIRE) -- January 6, 2006 -- One of the top selling jazz artists in her native Canada, 22-year-old beauty Sophie Milman is set to release her debut album in the U.S. on KOCH Records on March 21st, 2006. Sophie Milman is a young Russian-born, Israeli Canadian singer who is on her way to becoming an international Jazz sensation. Already a household name in Canada where her self-titled debut album was the breakthrough Jazz album of the year, it remains in the year's Top 5 bestsellers according to Soundscan, alongside international stars Diana Krall, Michael Buble & Madeline Peyroux. The beautiful and critically acclaimed jazz singer has graced the cover of New York's Forward newspaper, Voir Magazine in Montreal, Lifestyles Magazine, and Klublife Magazine in Toronto. She is also a full time University of Toronto commerce student and is fluent in four languages. The Toronto Star proclaimed, "Sophie Milman's brilliant new self-titled CD was one of several Canadian recording highlights in 2005," while the Toronto Downtown Jazz Newsletter wrote, "Sophie Milman bursts out of the gates with a confident debut that serves notice of a new major talent on the Jazz vocal scene. The twenty-two-year-old Russian-born singer possesses an achingly sensuous voice that is free of affectation and surprisingly mature. Wow!"